When I went to America in February, I expected snow and lots of it. I tend to go to Washington DC every February to visit fam and usually it snows heavily and is -17 degrees outside but this year I was so unprepared. I forgot to take my heavy-duty, thick moisturiser to help protect my face from the harsh weather. I forgot to take my lip balms and exfoliators to help protect my lips from being dry, sore and cracked. But actually, this year, it didn't matter. As it was pretty damn hot. So hot in fact that I had to buy sunglasses and summery clothes. At one point it reached about 26 degrees which is incredible considering the same day last year it was -10 degrees and I was convinced I had contracted hypothermia. When I had convinced myself that the snow was imminent and that my lips would dry up and fall off without being in reach of a lip balm, I hurried out to CVS to stock up. I bought an EOS as, well, I have seen Kim Kardashian use one and have always wanted to give one a try, as well as a lip balm with NYX, of all brands. 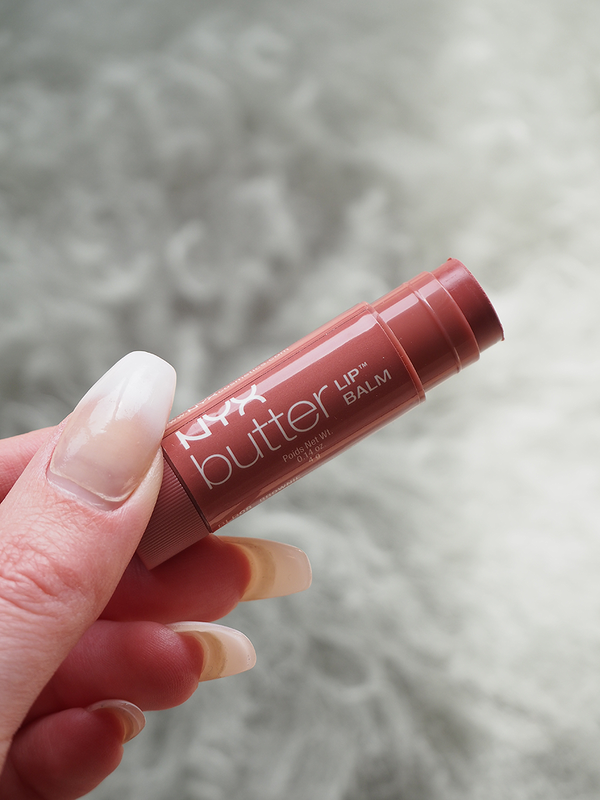 I had never heard of this product before and I haven't seen them in the UK since then so let me tell you all about the NYX Butter Lip Balm in Brownie. 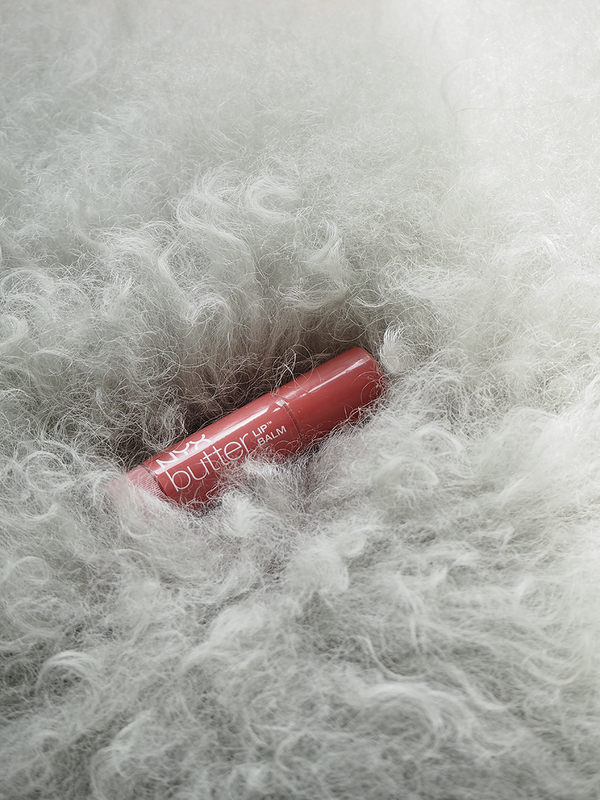 "Dip your lips in a sheer wash of color with our Butter Lip Balm. 8 decadent hues. One swipe leaves dry lips feeling supple and hydrated." The NYX Butter Lip Balm's come in 8 different shades, ranging from hot pink to a deep red. This product is designed to be more of a sheer lip balm rather than a lip gloss or a lipstick so if you are after an opaque shade on the lips then these definitely aren't for you. They deliver a really soft and subtle hint of colour to the lips whilst keeping them hydrated. They are very similar to the Maybelline Baby Lips only less greasy and more hydrating! I really wanted to try all of the shades but decided to go for a warm neutral in the shade Brownie. It is a really pretty warm mid-tone brown which translates to a really sheer shade on the lips. It does look nice on the lips but as it is so sheer, it really is just a lip balm and I wouldn't see it in any other way. So as a lip balm it is spot on and you can't really fault it! I'm not too sure if the NYX Butter Lip Balm's have managed to make their way to the UK yet but if you see them then it's worth picking a couple up as they are always handy to keep in your make-up bag. I want these! I really like lip butters and nivea have some that are really nice but not in a tube so these are right up my alley!